Sebastian Vettel threw away his title challenge in the second half of the season. 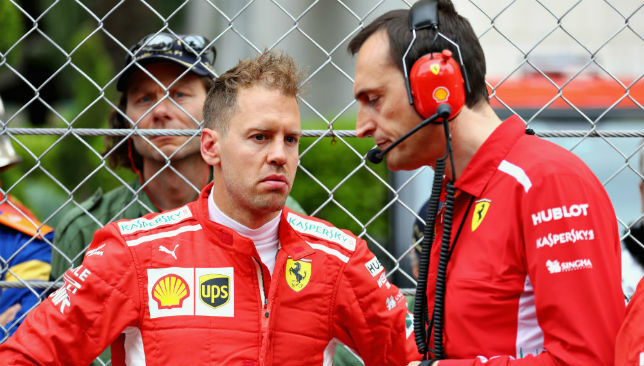 Ferrari boss Maurizio Arrivabene refused to point the finger of blame at Sebastian Vettel for the Prancing Horse’s failure to sustain an assault on Lewis Hamilton and Mercedes’ vice-like grip of Formula One. The Italian marque – spearheaded by the four-time world champion – came into the season in confident fashion after an encouraging pre-season testing programme. And it quickly became apparent that 2018 could produce a much-needed title battle after four years of merciless Mercedes dominance. Vettel won the season’s opening two races and four of the first 10 as the two titans of F1 traded blow for blow in the first half of 2018, with the lead at the top of the driver’s standings changing numerous times. The gap was eight in favour of the 31-year-old German following his triumph at Silverstone in July, as the season approached the halfway point. Sebastian Vettel started the season on fire but has endured a difficult time down the straight. Up next was Vettel’s home race, Hockenheim, where victory would have been a huge boost to his title chances. And it looked on the cards after Ferrari locked out the front row, with Kimi Raikkonen second. But an uncharacteristic error from Vettel caused him to crash out while leading the race and that would change the entire complexion of the season. He would win again at Spa but more implosions at Monza and then Suzuka left the door open for Hamilton. And the 33-year-old took full advantage, taking the chequered flag in seven of the final 10 races leading up to the season finale in Abu Dhabi – with the title clinched in Mexico. 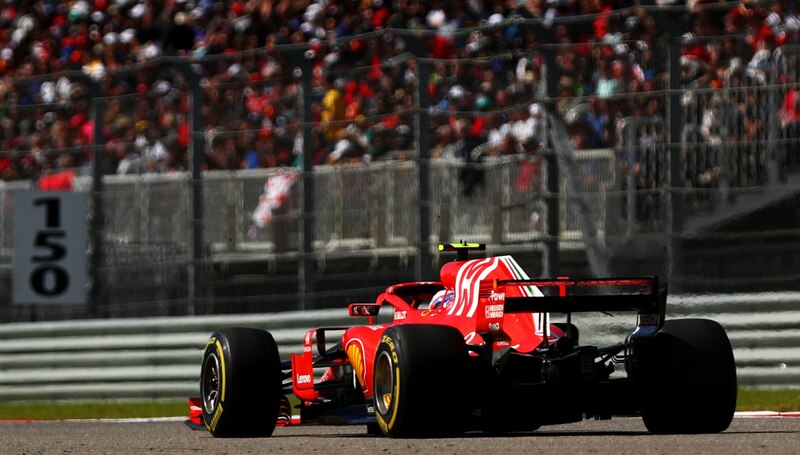 Despite a woeful second half of the season for both team and leading driver, Arrivabene talked of needing to discover the “winning habit” in order to be more successful in 2019. 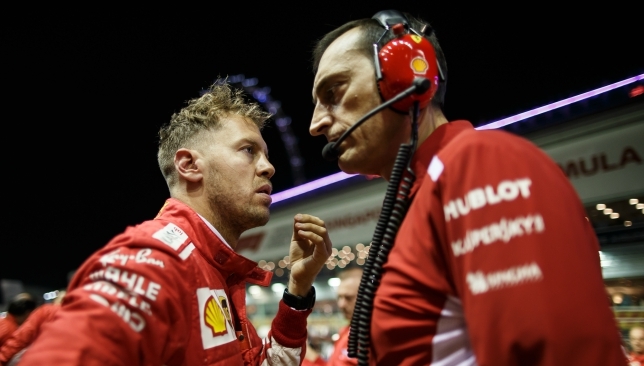 “The habit to win,” the 61-year-old answered when asked what Ferrari needed to do to topple Mercedes next year – having enjoyed statistically their best season since 2008 this term. “We need to win enough to win the championship, of course. Then it depends on the performance of the other teams, how many. Sebastian Vettel crashed out of the German Grand Prix, the season’s turning point. He also refuted suggestions the reason Hamilton ran away with the championship was down to drivers – in particular Vettel – making too many mistakes, and not the fact they were unable to secure one-two finishes. “This is your opinion,” Arrivabene told one journalist. “What you want me to do? I give you an answer, I give you an answer, having said that what you said is not correct because we started the season in very good shape and then as Sebastian said yesterday, he made mistake. “Then from Monza onward we were not there with the car and this is a fact, too, if you’re talking about facts. Kimi Raikkonen drove his Ferrari to victory in Texas last month. Ferrari driver Kimi Raikkonen claimed his first victory in Formula One for five years at the U.S. Grand Prix in Austin, Texas on Sunday. In doing so the Fin forced Mercedes driver Lewis Hamilton to wait at least one more week to claim his fifth career Formula One championship. Watch Raikkonen reflect on the rare victory below. A bad day in the office for Vettel and Ferrari. 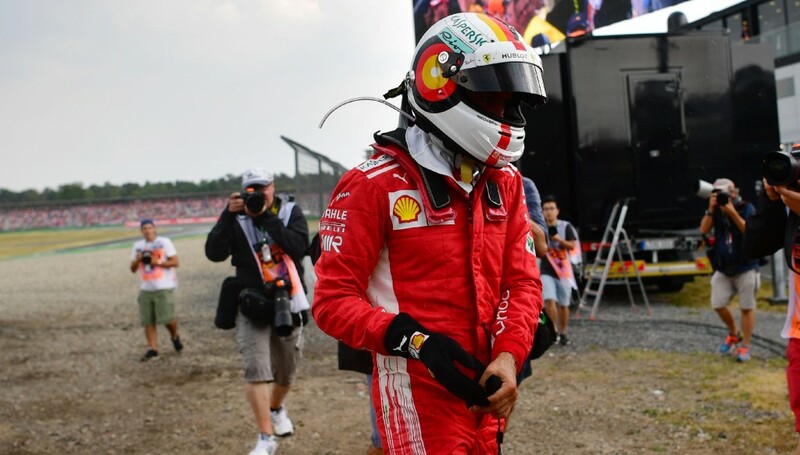 Sebastian Vettel pointed the finger at his Ferrari team after a strategy error saw him lose further ground in the championship to Lewis Hamilton. 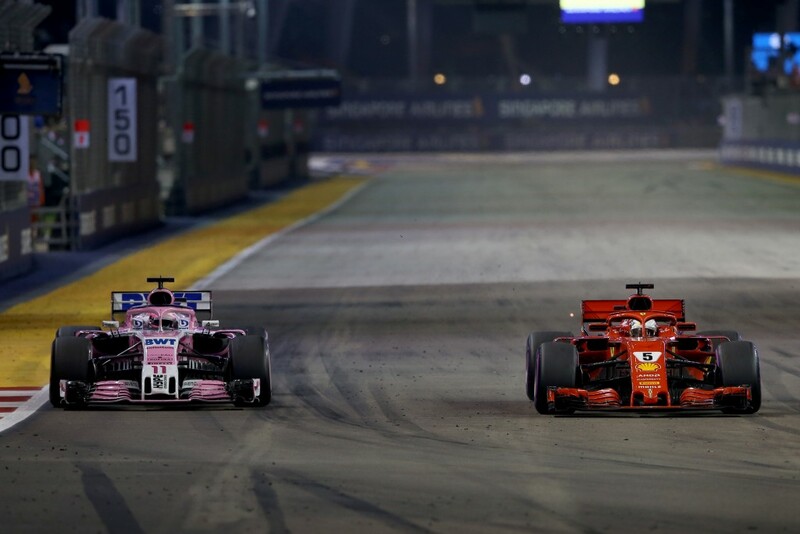 Vettel passed Max Verstappen on the opening lap of the Singapore Grand Prix, but then fell behind the Red Bull driver following a curiously early stop. The German was the first of the leaders to pit for fresh tyres, but rejoined in traffic and behind the Force India of Sergio Perez. Vettel finally passed Perez, but he had lost time to Hamilton, and Verstappen, who had yet to change his tyres. When the Dutchman did come in, four laps later than Vettel, he had pulled out enough of a gap to leapfrog the Ferrari car for second. Unlike his rivals, Vettel was also put on the less durable ultrasoft tyre by his team, which meant he had to carefully tip-toe to the flag. “I said before the weekend that we can only beat ourselves, and we didn’t get everything out of our package,” Vettel said. “I wasn’t convinced we would make it to the end of the race, but pitting again was no option. Vettel was stuck behind Perez for a long time. After cooling down, Vettel said he would never lay the blame at his team’s door, but his remarks after the heat of battle were telling. 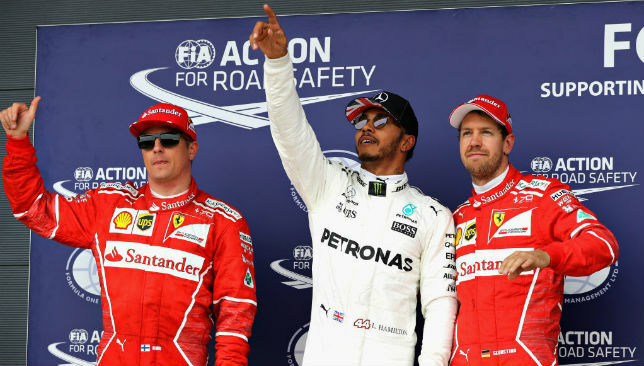 The race in Singapore – a track which has historically favoured Ferrari in recent times – should have represented a chance for him to reduce the deficit to Hamilton. Instead, Vettel knows he is running out of time to stop his rival from galloping towards a fourth championship in five years. “Lewis said he didn’t expect to come here and gain 10 points, and we didn’t come here expecting to lose 10 points,” he added.